A rabies clinics for cats and dogs is scheduled from 1 to 3 p.m. Saturday, Jan. 21 at the Westbrook Community Center. Rabies shots will be $15. Dog licenses will be available for $6 for spayed/neutered and $11 for others. Dogs licenses issued after Feb. 1 will be subject to a $25 late fee. State law requires all dogs to be licensed annually before Dec. 31. It is a civil violation to own an unlicensed dog, punishable by a court summons and a fine of up to $100. Microchipping will also be available at the clinic, at a cost of $35. Special thanks to Stoneledge Animal Hospital, the Dehler Animal Clinic and the Animal Refuge League for making the clinic possible. The Westbrook Fire & Rescue Department will mark its 125th anniversary with a special dinner and awards banquet Saturday, Jan. 21. The event will begin at 5 p.m. at the Italian Heritage Center in Portland. Buy a reusable bag in February at the Westbrook Hannaford and help the Westbrook Community Center. The Community Center has been chosen by the Westbrook Hannaford as the latest beneficiary of the Hannaford Helps Reusable Bag Program. Every time anyone purchases the blue reusable bag with the good karma message at the 7 Hannaford Drive, Hannaford during the month of February, the Community Center will receive $1. The American Red Cross will hold a blood drive from 11 a.m. to 4 p.m. Friday, Jan. 27, at Walker Memorial Library. Donors will receive a $5 Dunkin Donuts gift card while supplies last. 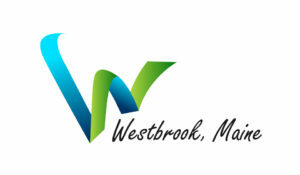 Sign up for e-notifications on the city website: westbrookmaine.com/i-want-to-/register-or-enroll/e-notifications.